Why Is Travertine Sealing Important? 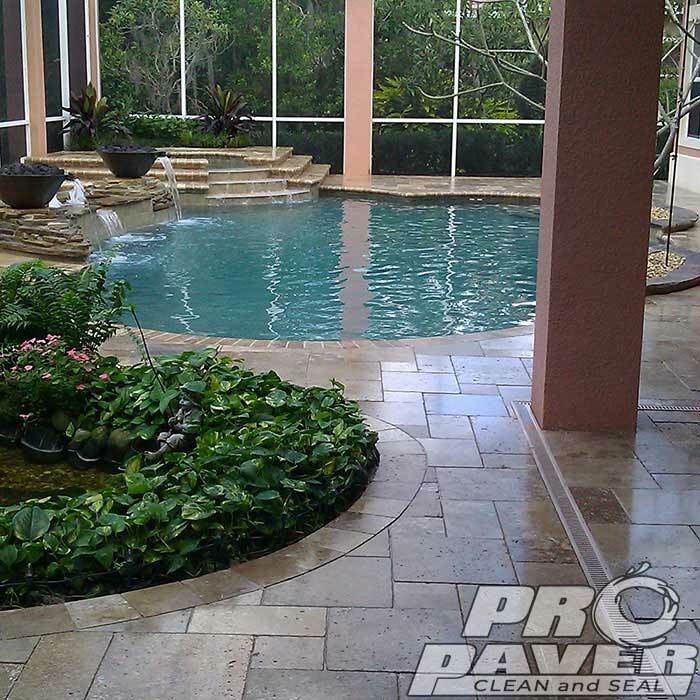 Natural stone such as travertine, slate and sandstone are beautiful additions to any pool deck or driveway. Many paver installations add sandstone fountains, or waterfalls for a very distinctive look. These natural stones are not as porous as concrete pavers but can absorb stains if not sealed. They are specifically subject to acid etching from spills of sodas, orange juice and wines. We use only the best products on our clients travertine surfaces. If your travertine surface is in need of cleaning or sealing be sure to contact us today for a free quote. How Can Pro Pressure Clean and Seal Help? 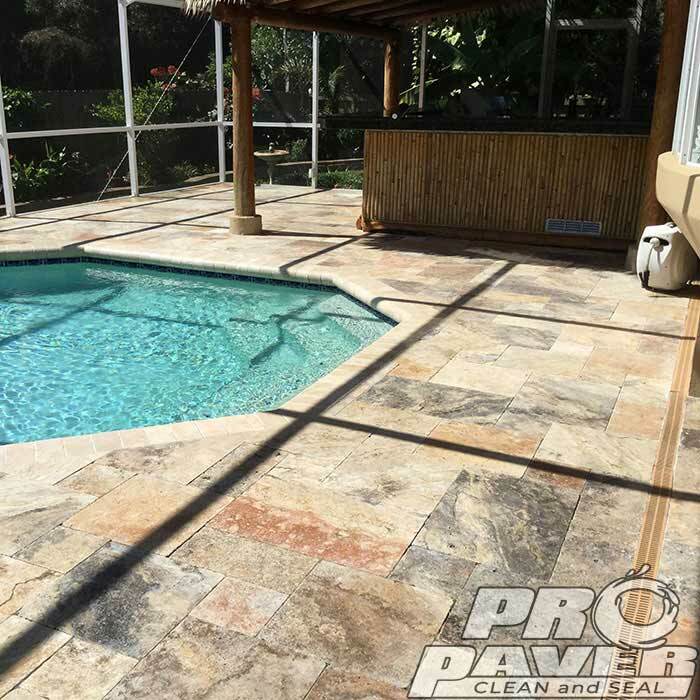 Pro Pressure Clean and Seal offers sealing services for travertine and other natural stone for your pool deck and driveway. The sealer adds beauty by enhancing the colors of the stone while filling the pores and protecting from stains. Our sealer also offers superior joint sand stabilization to minimize weeds and washout of sand. It is also less slippery than other sealers, although as a dense, natural stone, it can still be slippery when wet so care is always necessary. Ready to make your Travertine look new again? Ready for a free quote? Click here.